You are so welcome, Lynz! Good luck preparing your squash! Now that I know what it tastes like, I am going try something new next time! I have never met a squash I didn’t love but will have to discover this one. Great photos!!! Johanne, thank you! 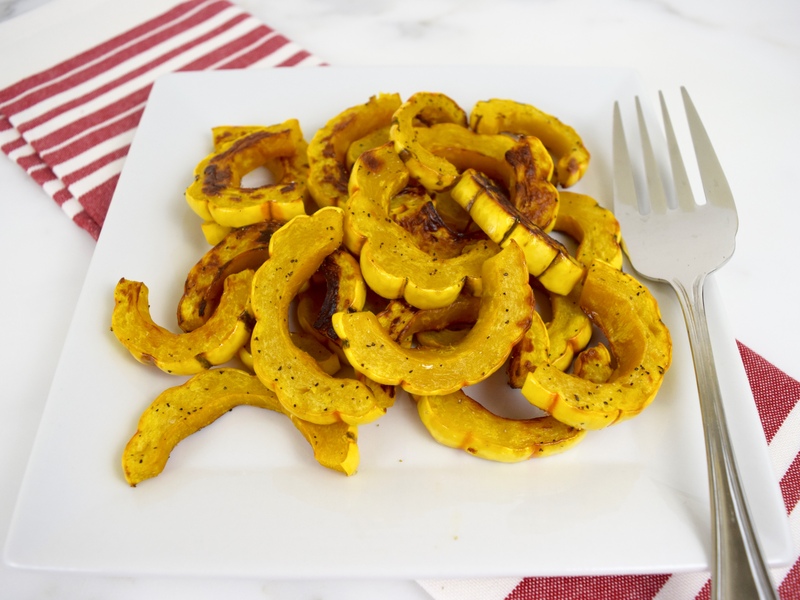 Please give the delicata squash a try…tastes like a sweet potato. 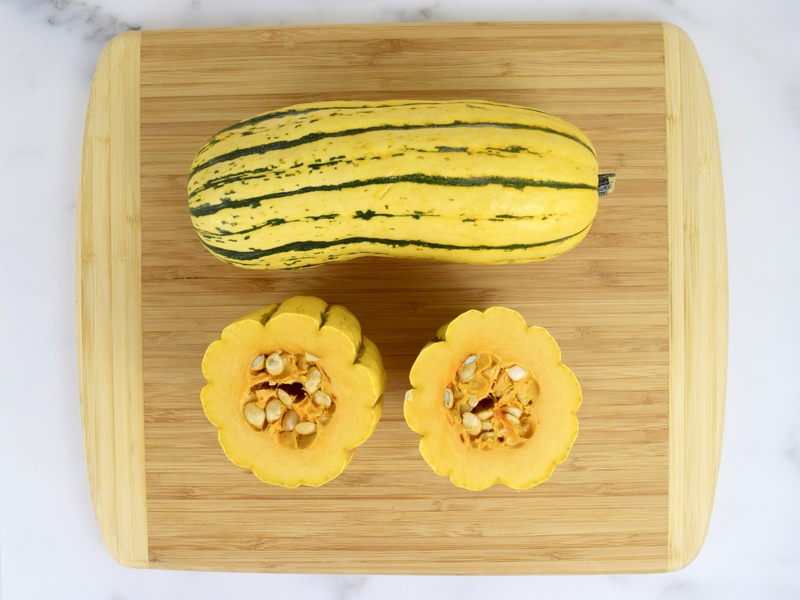 Bec, can you get delicata squash in Australia? It tastes like a sweet potato. Bec, you may have to wait awhile, I think it is a fall vegetable and you are having your spring in Australia! I love a simple side dish like this, let that squash shine! I just brought some acorn squash home, might try it with those. Mary Frances, on my next trip to Trader Joe’s I am going to buy some acorn squash. Never cooked it before! Most likely going to roast it too! 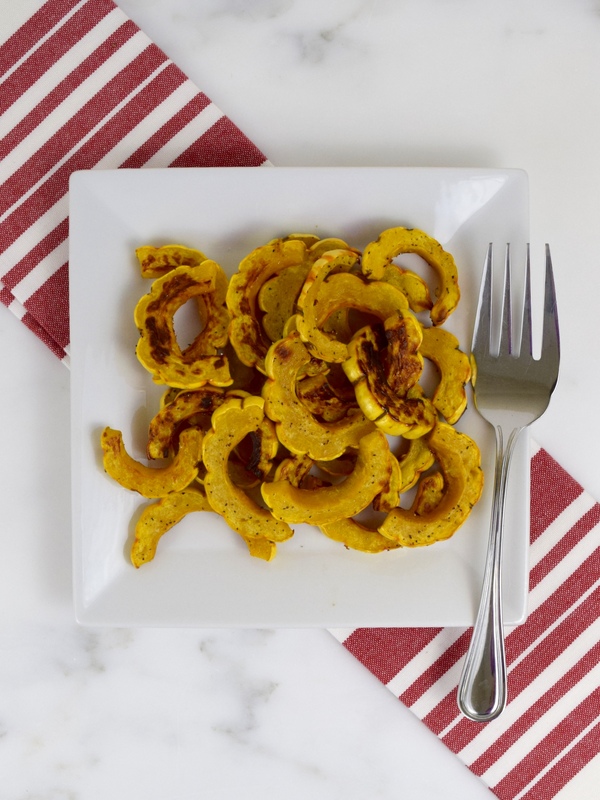 Seems as if I stumbled on this recipe at the exact right time, I have a delicata squash for over 1 week now that I don’t know what to do with! Will try this recipe :). You can’t go wrong roasting squash!